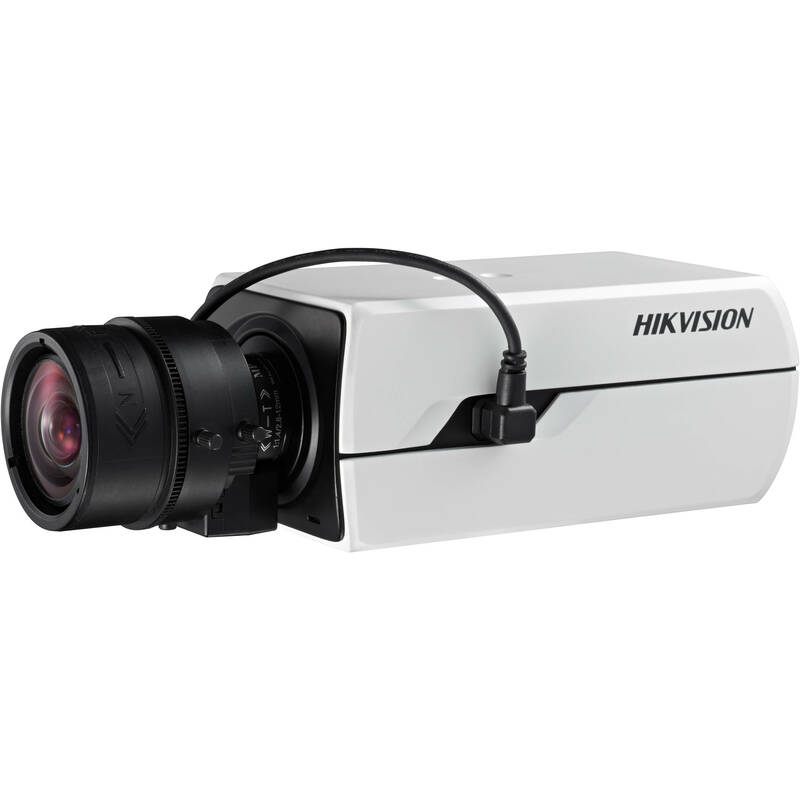 Get an 8MP view of your property using existing coax cables with the TurboHD DS-2CE37U8T-A 8MP HD-TVI Box Camera with Night Vision from Hikvision. Featuring a C/CS lens mount, this camera is designed to be customized with the separately available lens of your choice. The camera is equipped with an 8MP CMOS sensor to capture video at resolutions up to 3840 x 2160 at 15 fps. It delivers color images down to 0.003 lux, and uses IR LEDs to deliver B&W images in zero-lux conditions. Image enhancement features including a 120 dB wide dynamic range, automatic white balance, and backlight/highlight compensation enable you to capture clear images in varying lighting conditions.